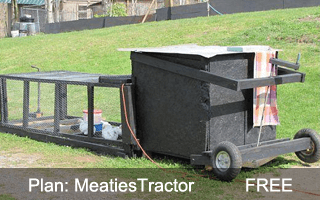 What exactly is a chicken tractor? Simply put, it is a mobile home much like a caravan, or trailer, which contains everything your chicken needs in her house. It is a portable chicken coop. It will contain food, water, a roosting perch, nesting box and a nice place for her to free range. In this definitive guide we will give you the basics on them before detailing the key things you need to consider when building your own. 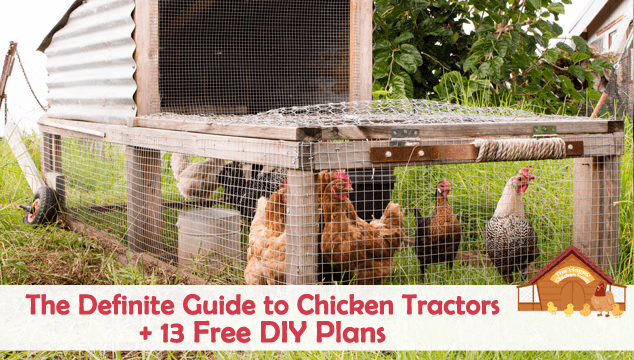 Finally we have 13 of the best chicken tractor plans to suit all flocks and budgets. The idea of the tractor is to keep them penned to avoid damage to the rest of your yard or the neighbors’ property. It just so happens that the tractor is mobile so you can move them along to the next patch of grass before they completely destroy the area where they are parked. Anyone who has had chicken rampage through their flower beds will tell you it is very disheartening to have all your work destroyed in less than 10 minutes, not to mention the little poop patties all over the place. The neighbors won’t be thrilled either when they have found your hens have re-located the mulch, eaten the veggies and left little presents behind to say thank you. The second benefit of the tractor is safety for your hens. A good sturdy tractor will deter most predators with the possible exceptions of the bear, raccoon and coyote. The hens can graze in total safety from aerial predators such as hawks and owls. The best reason for having a portable coop is free lawn services! The hens will nibble off the tips of the grass and weeds and remove any insects and fertilize, all for free! In fact, they pay you in eggs – what could be better? If you want your grass to stay in reasonable condition, you will probably have to move the tractor at least every other day or you will end up with bald spots and a dust bath crater. The basic structure can be broken down into two separate components: the coop and the run. It is also known as a chicken ark in the UK. The coop itself is essentially a square box with sufficient space to house your hens. This is where it is important to remember how much space your ladies require: large fowl need 4sq.ft/bird and bantams require 2sq.ft/bird. Yes, you can jam more birds in but it will encourage anti-social behaviors that will be hard to break and may lead to the injury of one or more of your girls. The floor of the coop in many cases is non-existent. 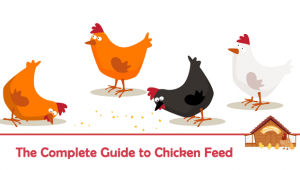 Since chickens poop the major portion of their waste at night, the poop is deposited straight onto the ground, which means you really don’t have much to clean up! Lots of people, myself included, prefer a solid base to the coop for a couple of reasons (the most important being security). A solid ‘box’ that you can lock your girls into at night is more reassuring to me than an open plan box. Should a bear or raccoon tip over the coop, the girls may be shaken but they will still be safely locked up, whereas if the bottom was open, they would be dinner. The second reason is it makes it a bit easier to move the girls while they are confined. When moving an open bottom tractor, if the hens are standing on the dirt, they have to get to know the routine of moving. They have to understand that they need to move with the coop. Usually it only takes a couple of moves before they get the hang of it, but it is easy to catch some ‘slow toes’ under the structure. 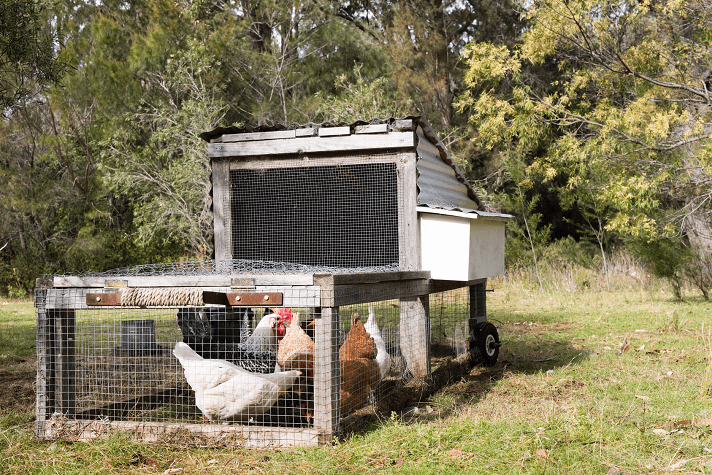 If the coop is boxed you can pick everything up, move it and then let them out – simple. Your run needs to be large enough to accommodate the number of hens you have in the tractor. Remember those numbers again; large fowl need a minimum of 8sq.ft/bird and bantams need 4sq.ft/bird in a run area. More room is always better. 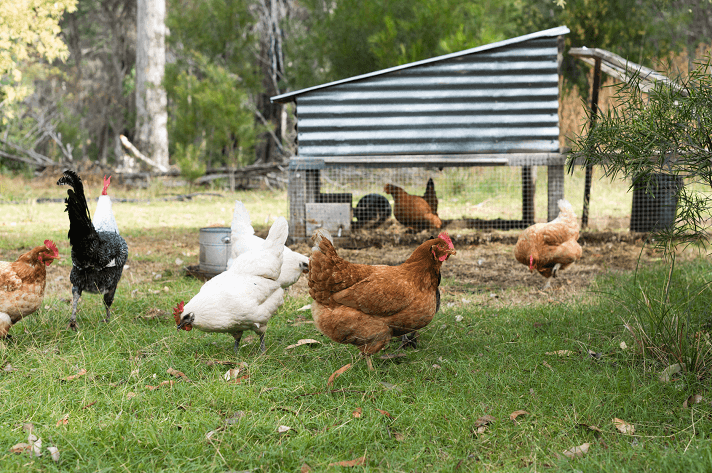 Although your hens are technically ‘free ranging’ they cannot run, jump or expend energy other than walking from one end to the other, so a longer run is great if you have the space. The run also needs to be tall enough that you can hang out the feeder and drinker so they can’t poop in it (which they will do if it sits on the ground). There are a few things you need to consider when you are building your tractor. Tractors need to be sturdy and well built; this usually translates as quite heavy to move. If you suffer from back, neck or other mobility problems, you will need to think long and hard about what you want. You can of course build lightweight tractors, but they don’t come without problems. We will address those later. You need to know how many hens you are going to put into your tractor. As an example, 4 large hens will need 4sq.ft space each, so you will need 16sq.ft of floor space. This is a box that is 4ft by 4ft. This may not sound large, but if you are pulling (or pushing) it plus the run, it is going to be quite heavy, especially up or down slopes. How easy is it going to be moving your tractor? Almost all tractor plans I have seen have wheels to help with the moving of the structure, or can be hitched up to a small tractor or a utility vehicle. Personally, I would avoid any plans that do not include wheels as you will need Herculean strength to move it! Some tractors you move similar to a wheelbarrow, others look a bit like a rickshaw and the really large ones require horsepower – real or mechanical. The coop will need to be cleaned the same as a regular coop. The access area needs to be large enough for you to actually work through. Some coops have a ‘lift up’ side of the coop which is great for cleaning and egg removal. At the bottom of this article you will find a variety of chicken tractor plans which you can build. Many of the tractors I have seen can be discounted from a security point of view. So many people use chicken wire instead of hardware cloth. Hardware mesh is a bit costly, but it is better than losing all your hens to a determined predator. However, that doesn’t mean the design of the tractor is intrinsically bad, you can always upgrade security if you find a design you really like. It can be very easy to build a basic structure from scratch and something that makes it even more fun and cost effective is using recycled items. This would cut down on the cost dramatically. You will notice that many of the tractors shown below have used recycled items in quite inventive ways! Also remember if you live in an area where the summers can be brutally hot, make sure they have enough shade available in the coop along with ventilation. We briefly touched on security earlier, but it is very important that the tractor is safe and secure for your flock. The building itself needs to be made from durable materials; it’s going to be outside in sun, wind and rain so if it is made from wood, it should be painted for protection. This brings us to lightweight tractors. Lightweight is most certainly the best thing for those that have to move the thing, but they can easily be flipped over in a wind storm or other inclement weather, scattering your flock all over the place. If you are adamant about having a lightweight tractor, you will need to have some sort of system to anchor it into place should the need arise, especially if you live in higher elevations where the wind can be troublesome. Large predators too will have no trouble in dismantling a tractor made from PVC pipe and chicken wire. Check locks and entry points too – can you get in easily? If so, other things can too. At the minimum any lock should be able to keep out a 3 year old child. If it fails this test, a raccoon will figure it out too. Any windows need to be covered with wire mesh or hardware cloth not chicken wire. 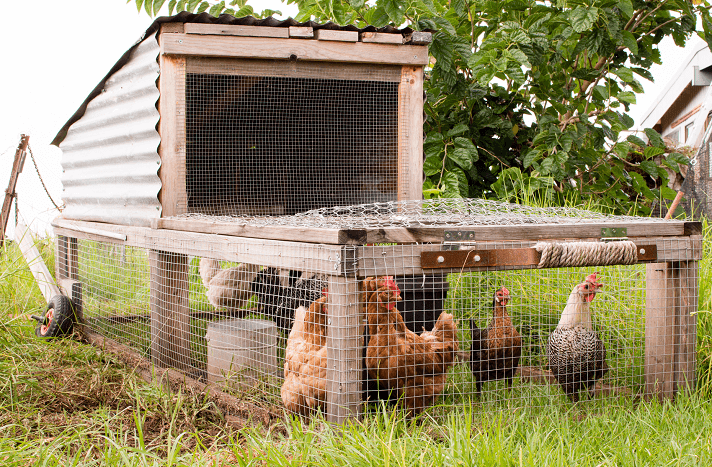 Chicken wire is designed to keep chickens in – it will not keep predators out. The run needs to be covered with hardware mesh also. 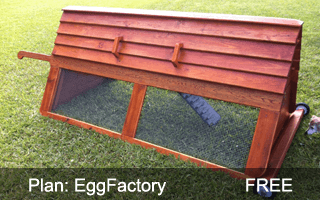 EggFactory is a small chicken tractor which would be suitable for a small flock of less than six hens. It is an A-Frame style and has wheels at the rear which allow for easy maneuverability. This particular tractor plan is a simple and affordable one that is most suited to those with a small flock on a limited budget. The run can be built for well under $200 and is ideal for beginners. Welcome to one of the most luxurious chicken tractors in existence. 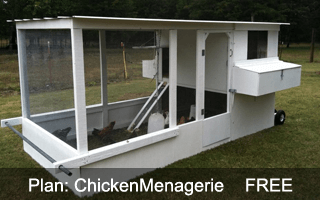 The “Chicken Menagerie” is a midsized run with a large price tag. Expect this particular chicken tractor to cost you around $500 to build. 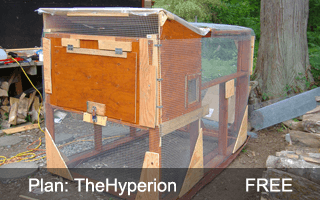 The Hyperion is the most affordable chicken tractor plan in this list. Whilst its looks are fairly rudimental, if you’re looking for a cheap solution look no further than this plan; it is effective and servers its purpose. 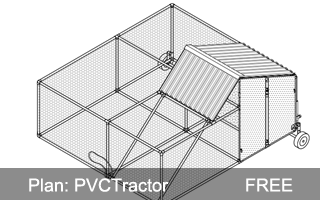 As the name suggests the PVC tractor is made from PVC pipes. This plan contains detailed diagrams outlining each step of the build, making it suitable for someone with little to no DIY experience. 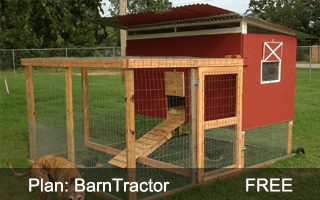 This chicken tractor plan is an affordable, medium sized one. Interestingly it has two entrances for the hens, one straight up into the coop and another into the run section. If your hens are using the coop entrance I’d recommend building a ladder for them. 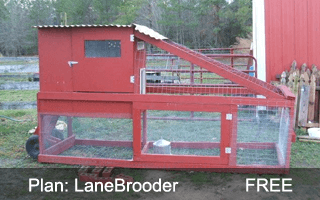 This particular chicken tractor is one of the most expensive in this list. Not only does it have a sheltered area for roosting is also has a nesting box on the far end of the tractor. This mid-sized tractor would be suitable for up to 12 hens. If you have several weeks and a large budget, then the “CocoChanel” plan could be the one for you. 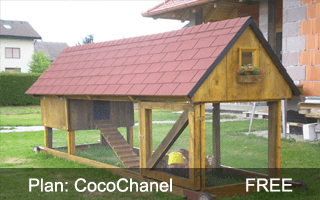 This huge chicken tractor can house over 12 hens confortable and even has flower beds to decorate its exterior; definitely a high end plan! 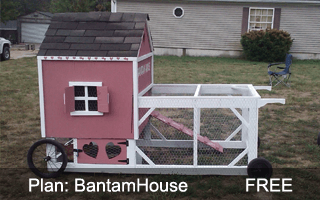 The Bantam House is a stylish, fun, chicken tractor. It has four wheels, one on each corner, making maneuvering it very easy. 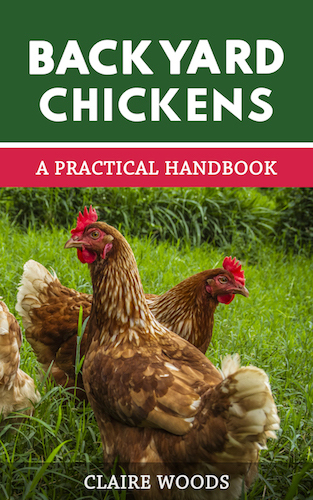 This would be perfect for a small-sized bantam flock and can be used all year round. 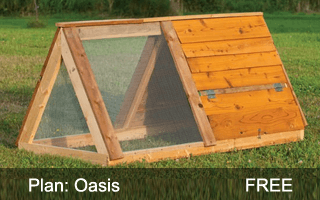 Oasis is an affordable A-frame chicken tractor suitable for midsized flocks (6-12 hens). One end of the tractor is covered by mesh and the other end by wood, providing cover during rainfall. This particular tractor plan is without wheels, which makes moving it difficult with one person. 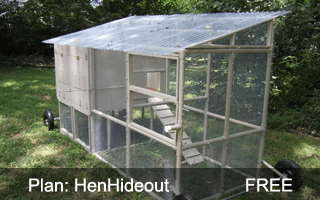 The “Hen Hideout” is an affordable midsized run that represents good value for money. This particular plan uses plastic not wood to build the frame. It also has a large wheel at each corner making it easy to move around your garden. 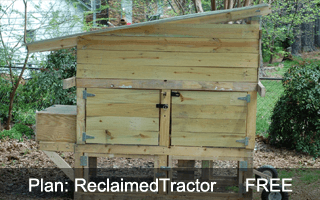 As the name suggests “Reclaimed Tractor” is ideal for those of you with existing timber that you’re looking to repurpose. One thing to note about this particular plan is its weight; you’ll need two people to safely maneuver it around. The design of your tractor is limited only by your imagination, available space and budget. There are several benefits to using tractors for your hens and very few downsides. If you intend to use the tractor all year round make sure it is suitably built to protect the hens through the winter months. Just remember, the bigger your tractor is the heavier it is likely to be. If you have a riding mower you could probably use it to move your tractor. 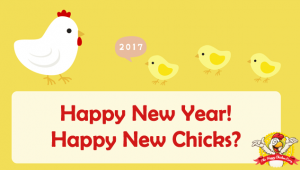 We hope you have been inspired to think about a chicken tractor for your girls, especially if you want to build one yourself! I will repeat myself here – chickens don’t care if the corners aren’t square or the wood is secondhand, they are pleased to have a house that provides all their needs. So don’t be afraid of building your own even if you don’t have much DIY experience! Thank you for posting this article / plans. I have not decided which one I want to build, I am still in my planning stage. I look forward to building one, or more this summer. Thanks again, and keep up your good work !!! I’m planning to have a fixed coop and run (4×8 run attached to 4×4 coop) for 3-4 hens. Since I won’t be home most days to supervise free ranging birds in my urban backyard I was thinking a chicken tractor would be a great way to keep the birds on fresh ground. 4×4 would be a very doable size for the tiny yard we have. I keep reading other sources that suggest this is way too small to leave 3-4 hens in for a whole day…any thoughts on why others disagree with this number? Thanks for the help! 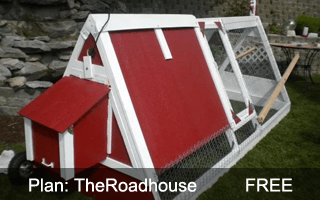 You can see our article here that helps specify chicken square foot requirements https://www.thehappychickencoop.com/how-much-room-do-chickens-need/ but overall, if its your goal for them to free range in a 4×4 tractor I would highly suggest you move it twice a day minimum. From what I’ve read, it make a difference on the breed of chickens your raising? Some need more square footage than others! So I suggest first checking what breeds you have and then research the square footage for that breed. Best of luck! When I try to get the plans for the PVC coop, it is all crap app’s/extensions that I had to uninstall. Where can I get the actual plans? Jayne, you need a PDF reader, it is a downloadable PDF file with the DIY PVC plans.